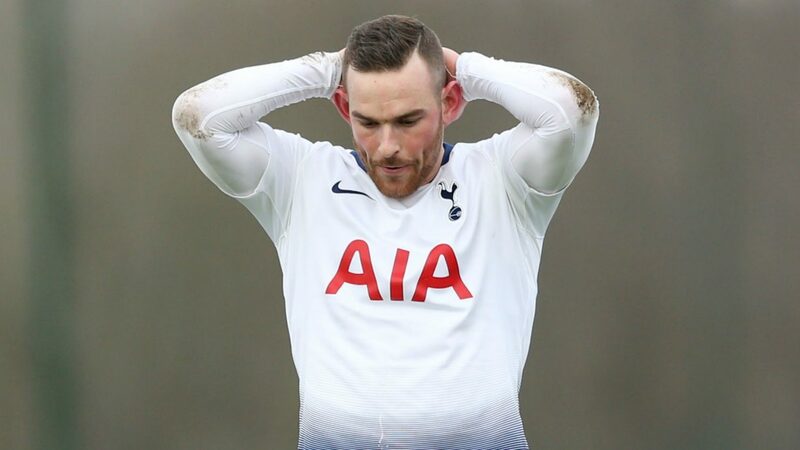 It was on September third when Vincent Janssen knew it was over. With one submission of a squad list he was unequivocally convinced. His time at Tottenham was to be no more than an exercise in Kübler-Ross’s Five Stages of Grief; and now, with name omitted and squad number stripped, he could eventually progress to its fifth and final stage: acceptance. His had been an arduous journey. Of course, troughs of a testing nature are part of the makeup in a footballer’s career — take that time he’d been nicknamed “VJ-LO” at Feyenoord because of the abnormally-sized backside he possessed as a scrawny 17-year-old — but nothing could have prepared Vincent for this. How on earth had he managed to make Grzegorz Rasiak look like Marco van Basten? Football… bloody hell, he’d heard fans say in England. They weren’t wrong. Wallowing in self-pity, Vincent allowed himself to reminisce about how it all began. All the way back in March 2016, when Mauricio Pochettino, watching from the stands, saw him score on his full-debut for Holland against England at Wembley. It was the night Pochettino knew he’d solved his second-striker quandary — and the night Vincent knew he was ready for the Premier League. Sure, he’d need to adapt, Vincent considered at the time, but how hard could the rigours of the English game be? He’d already proven himself on a cold Tuesday night in Groningen and he’d scored against Vitesse Arnhem, which he saw as virtually the same as doing so against Chelsea. A summer of stumbling blocks then followed for Vincent. He would have more chance of winning on freebetshub.com that getting a run in the team. It was while Daniel Levy and AZ Alkmaar chairman René Neelissen haggled over the Euro-to-pound conversation rate that West Ham sensed an opening. Vincent never gave their offer serious consideration though. He hadn’t warmed to the Hammers ever since, as a teenager in Heesch, he’d endured Charlie Hunnam’s intolerable mockney accent in Green Street. And besides, he longed to play for a London club in Europe proper — not one whose only taste of continental football would likely be an Intertoto Cup match against Astra Giurgiu, in June no less. 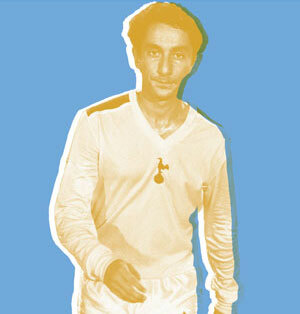 Vincent happily waited for Spurs, and on signing for them became the most expensive player ever sold by AZ. But expectation and fanfare quickly evaporated like his composure in front of goal, as he registered just two strikes in 27 appearances during his debut season. Vincent asked himself: just how did fellow Dutchman Jan Vennegoor of Hesselink manage three Premier League goals for Hull?! Football… bloody hell, was all he could put it down to. Strikers live off confidence and goals, Vincent knew that more than anyone. So a year-long loan to Fenerbahce the following season offered him the chance to rediscover his shooting boots; plus, he could taste his way across Istanbul’s famous kebab houses while he was there. I wonder if I’ll get extra garlic mayo like I do from Can Ciger Cig Kofte on the High Road, Vincent pondered. His excursion was no Turkish delight, however. As despite scoring on his debut and netting the winner in the Istanbul derby, a foot injury in December put paid to a fulfilling campaign. Even worse were Vincent’s encounters with Fenerbahce teammate Roberto Soldado, who, when asked what he’d learnt as a back-up striker at Tottenham, could only list the exact specifications of how Harry Kane liked his boots cleaned and polished. What a waste of a year, Vincent bemoaned, even if the kebabs were to die for. But little did Vincent know that his luck was about to change — and that one phone call would instigate it all. Four months after his fateful omission from the club’s 2018–19 squad list, Vincent found himself pausing his game of Tottenham Turfies to answer the phone to… Daniel Levy. The exuberant chairman confirmed that Vincent would be registered for the second-half of the season and asked if he was ready to take on a key role, ready for the opening of the new stadium? It was Vincent’s impassioned response to Mr Levy that led him to now: Tottenham versus Crystal Palace — the first game at the new stadium. Now Vincent could hear the roar of the fans as kick-off approached; the pristine, state-of-the-art changing room reverberating with the electrifying delirium flowing from those in the stands. Like a young child on Christmas Eve, Vincent hastily put on his kit, pausing every so often to dab the globules of perspiration running down his forehead. Nerves are to be expected, Vincent reassured himself as he took a swift glance at his reflection in the mirror before hoisting the hefty headpiece over his shoulders. He then looked back at the mirror one last time. Now it was hollow, sadistic smile of Chirpy gawping back at him. Here goes nothing, Vincent thought as he exited the mascot changing room to head down the tunnel. Now it was his chance. Now he would have his shot at glory. Finally, redemption would be his. I’m sorry that I have to be the one that informs you that a career in comedy does not beckon for you.